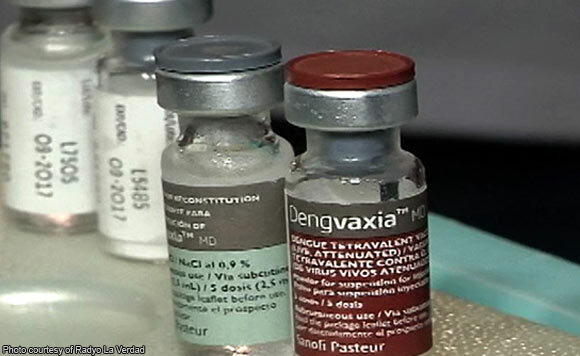 Davao City Mayor Sara Duterte has blamed the Dengvaxia mess why parents lost their trust on vaccinations, including the vaccine against measles. The presidential daughter made the statement as she slammed opposition Senator Risa Hontiveros for calling for the resignation of Public Attorney’s Office (PAO) Chief Persida Acosta. Hontiveros has blamed Acosta for the measles outbreak in the National Capital Region and Central Luzon for her “scaremongering and politically-motivated” probe on the Dengvaxia mess. “Ikaw (Hontiveros) dapat magresign dahil wala ka ng sinabi na tama. Lahat sablay. PAO Chief Acosta is doing her job in assisting indigent litigants who want to sue,” said Duterte-Carpio on her Instagram. “Dengvaxia eroded the parents’ confidence in vaccines and you can easily verify this if you talk to the people in barangays instead of putting your head inside your behind all the time. Do not wag the dog,” she said. She said Dengvaxia killed innocent individuals. “Bakit wala ka human rights angle dito? Paano masolutionan ang outbreak sa pagpapa resign ke Atty Acosta?,” the mayor said. “Mag isip po tayo ng solution, hindi opposition para lng may masabi. Kapag gusto natin magsalita pagisipan muna para hindi nakakahiya,” she added.